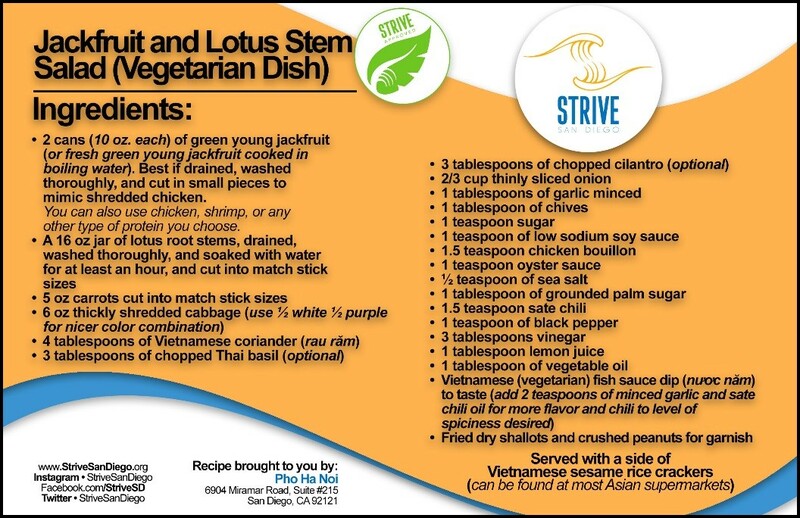 Jackfruit and Lotus Stem Salad – STRIVE, San Diego! 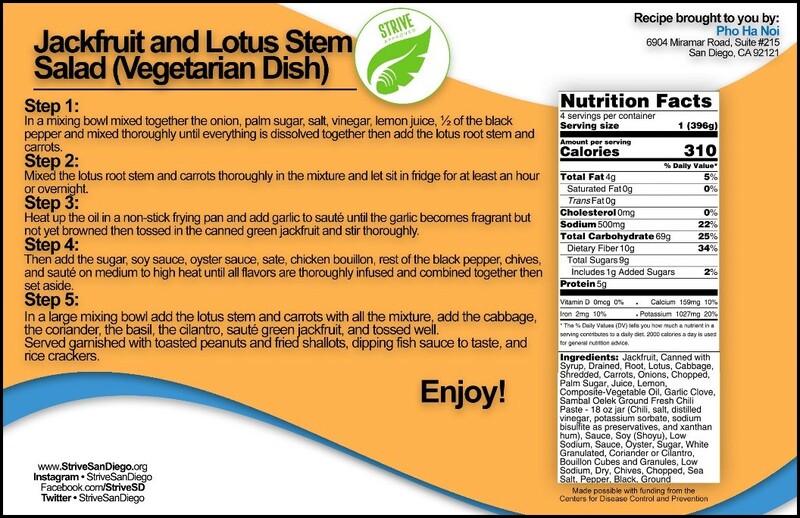 Add sugar, soy sauce, oyster sauce, sate, chicken bouillon, rest of the black pepper, chives, and sauté on medium to high heat until all flavors are thoroughly infused and combine together. Set aside.